Squats and deadlifts are the most effective exercises you can do to put on muscle. They both involve the use of a lot of your muscles and are so powerful they can drive the growth of your other muscles. For example, if you started squatting your chest will get bigger as a result. No one is sure of the mechanism involved but it probably has to do with the overall hormonal effect squats have. 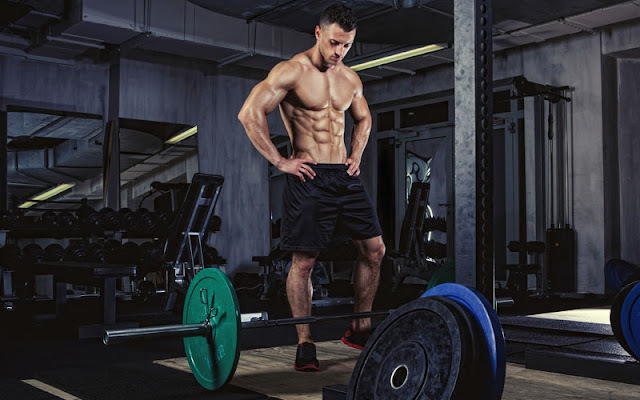 You see when you perform a set of squats and deadlifts your entire body is being stressed which triggers the release of testosterone and growth hormone. Both of the exercises also require a tremendous amount of effort from your nervous system. And the more this is activated the more your body will grow. Squats and deadlifts have long been the secret of powerlifters for packing on muscle mass very quickly. For example, one of the best powerlifting gyms in the country attributes 30- 40 lbs. of muscle added to each beginner in the first year to these exercises. You should always have one or the other in your training program to get the maximum results.